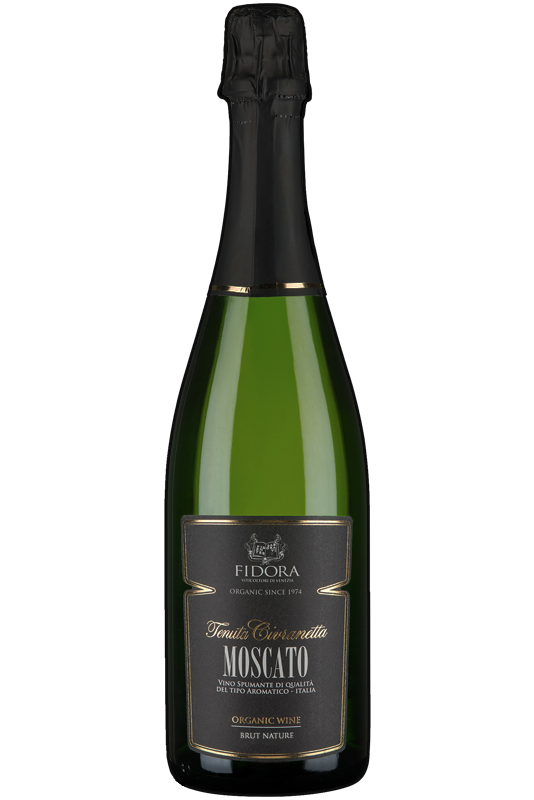 Moscato is the king of aromatic grapes and has been grown in since ancient times in our region, because of this particular characteristic. The Yellow Moscato variety is typical of our area. We harvest these grapes before they achieve their full ripeness, to ensure a proper acid content, then we press them gently, but quickly, to avoid oxidation and the loss of aromas. 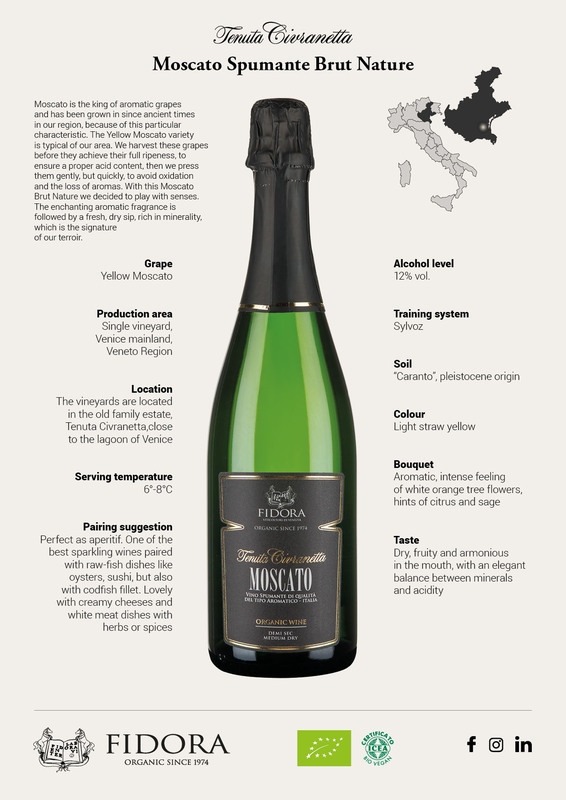 With this Moscato Brut Nature we decided to play with senses. The enchanting aromatic fragrance is followed by a fresh, dry sip, rich in minerality, which is the signature of our terroir.